GET STRATEGIC SOLUTIONS ON HOW TO GET UNSTUCK AND REMAIN FREE FROM TRADITIONAL CYCLES OF LIFE. 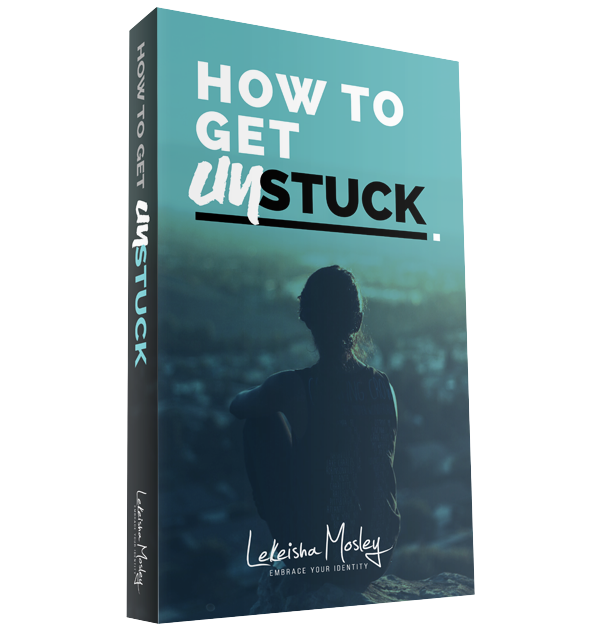 Known as the “Unstuck Queen” Lekeisha has over 15 years of experience in business management and personal development. She has a unique style of getting women unstuck with common situations both socially and with daily tasks in business. After years of overcoming toxic relationships personally and professionally, she now specializes in showing women how to turn their adversities into their advantages! By tapping into the gifts and talents that was in her true identity, within three years she remarried, double her income, and now she teaches others how to achieve the same success through personal development books, corporate and group trainings, and one-on-one coaching sessions. Lekeisha’s goal in life is to help others, especially women, live a truly successful, less stressed, emotionally and physically healthy life, and through life coaching, she is doing just that. No matter how big or how small your need is, whether you need organizational help or need help reaching your goals, Life Coaching with Lekeisha Mosley is the answer to getting the help you need. Sign up now for your free coaching consultation!